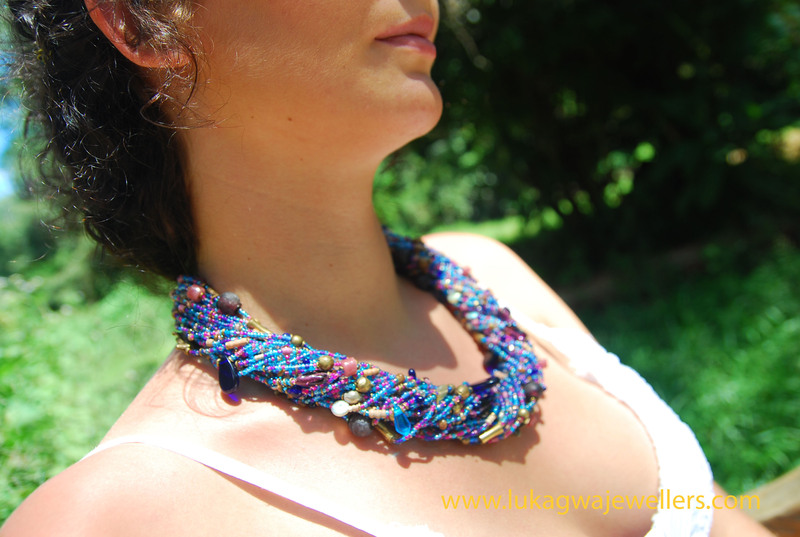 Something Special for Mum on Mother’s Day…..
Make a lasting impression on Mummy with these collector’s pieces of Afrocentric Handmade jewelry on our Etsy store http://www.etsy.com/shop/lukagwa. We have a 15% discount for purchases made prior to Mother’s day coupon code mum2016uk. 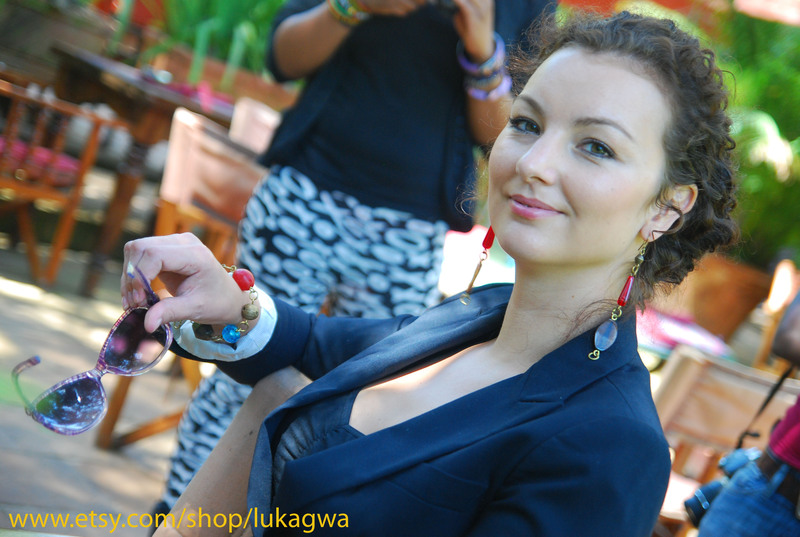 Well, here at Lukagwa we continue to give you the down-low of what to expect this spring season. We document all things vogue so that when you step out of the house, you not only do so in confidence, but also exude glamour. Today we focus on our every day essential, clothes! Yes we just can’t do without clothes and so it’s good to be in the know of what we will be seeing more of this season. This fashion emerged last year where we saw a lot of ladies wearing men’s inspired outfit. The fad started with the boyfriend jackets, followed by boyfriend jeans but soon enough we had ladies approaching their tailors to make them men inspired suits. So this is definitely a style to look out for this coming year. This is a favorite for office wear. 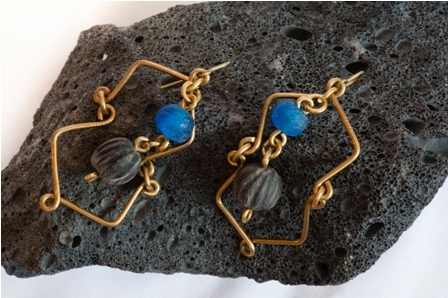 The best way to accessorize this is by wearing cuffs and medium length earrings. 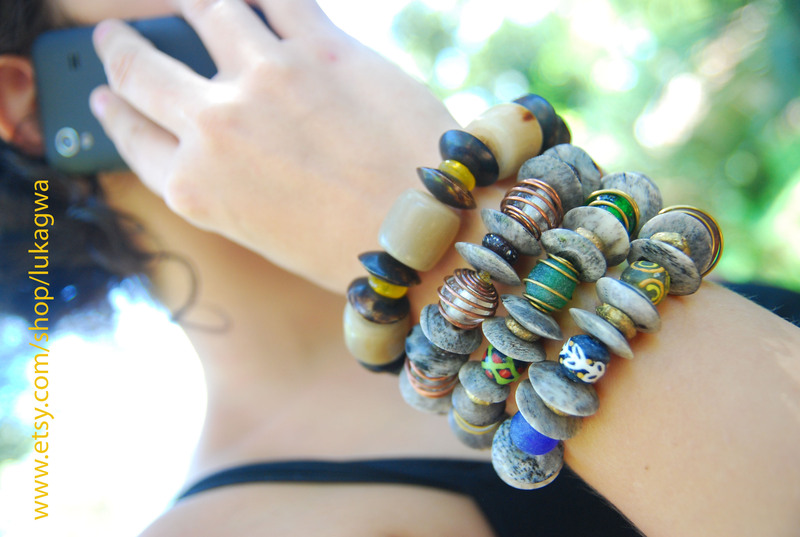 You can also add a colored necklace or bracelet as this will bring out the femininity of the look. This was also a big hit last year and it’s a trend that you will definitely see more of in the coming days. This dresses are usually bold in color and full of little flower patterns and they are accessorized with a belt, the belt usually one color These dresses are worn in the office or during cocktail events and sometimes even wedding. 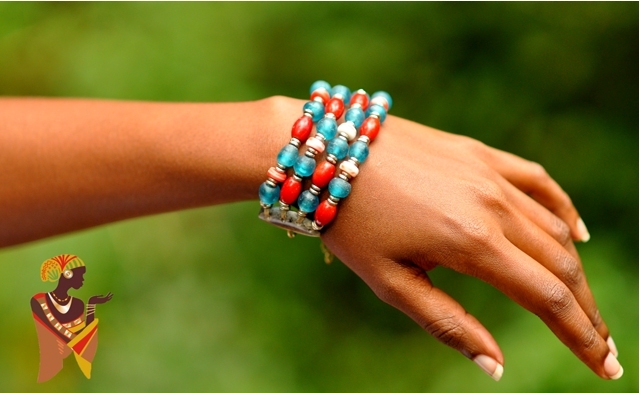 The best way to accessorize this look is by just wearing beaded earrings and a bracelet to complete the look. The dress already has too much going on and over accessorizing might make you look like you are trying too much. A trend that is emerging this season is blouses that don’t have the usual collar. They can either be high neck or have a plunging neckline but they don’t have collars. This look can either be worn in the office or with jeans on a weekend. 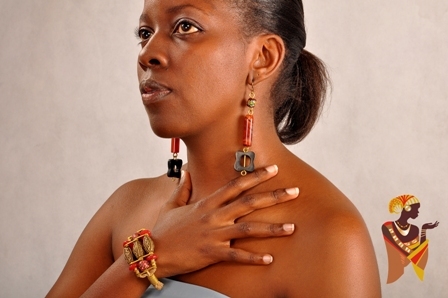 You can accessorize the look by wearing long necklaces and stud earrings and a bracelet as the look is made to enhance your beautiful collar bones. The Intrigues of Shela collection Photoshoot!!! What was to be our first photo shoot for the SHELA collection started out in Panaito Studios on Koinange street adjacent to Java coffee shop. Our photographer was the very artistic Zafarani the photo shoot took around 2hrs. 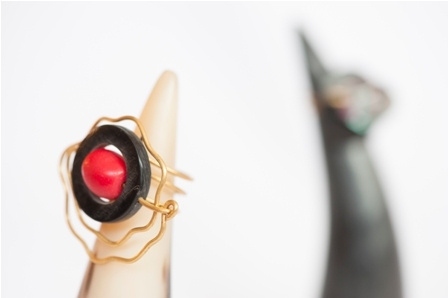 We used rose white soapstone bust sculptures as the props for the shoot. We had a very intriguing morning transporting the props across the streets of Nairobi as on lookers took a moment to stare. After the early morning photo shoot, we then proceeded to the Karura forest where we chose to capture the jewellery under the regal scenery of the Karura forest waterfalls. We decided on the waterfalls because the SHELA collection was inspired by nature. Upon entry of the Karura forest, we were requested by the guide to buy a map so as to locate our destination with ease. However, we were confident we couldn’t get lost as this was not the first time in Karura forest and decided against it. The guide then instructed us to keep left and we would be there in no time. We got on our way, kept left just as instructed and after an hour or so we realized that we were lost! We circled our way around until we met a guy who was cycling he told us to keep going till we reach a certain barrier. After about 45 minutes we arrived at the waterfall. Phew… what a relief! The whole journey to the waterfall took us 2hr and 45 minutes! Meaning we had almost circled the whole Karura forest. The scenery was worth the effort. On reaching the waterfall, we had a lovely time during the photo shoot. We had two photographers and a model. One photographer captured the model while the other took photos of the whole photo shoot. What a great time! Zafarani the photographer took the most amazing photos as he put himself in the most precarious positions just to get the best shots. 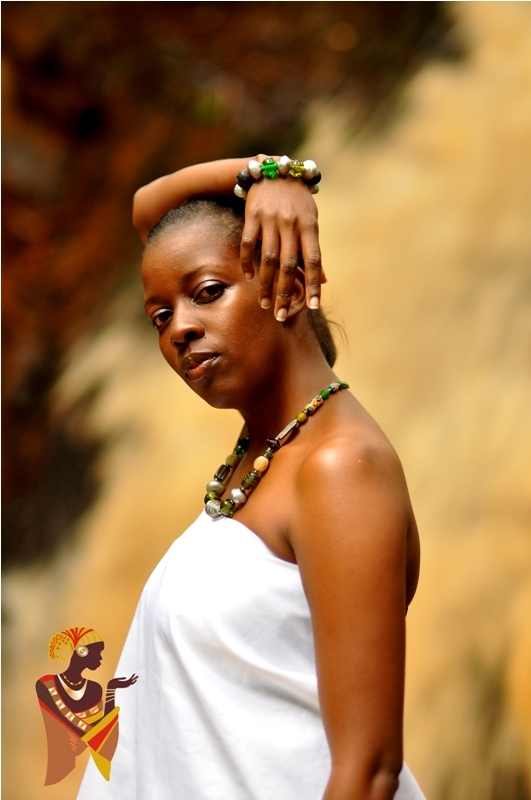 Our model, Cynthia Mwenje, did a wonderful job also in taking the best photos. She was easy to direct and very professional. We dressed her up in a silk like fabric that would be able to bring out the beauty of the jewellery. All in all we had a great time and can’t wait for the next photo shoot! Thank you to all the photographers and our model.